FBU roamed the floors of 2015's Expo West asking new brands about trending items and what the best way was to get noticed at such a large venue. 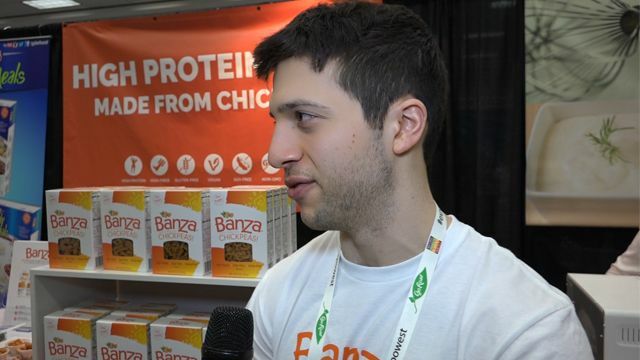 One trending item that nearly every entrepreneur was talking about was Exo Cricket Flour Protein Bar, which FBU did a separate interview featuring the innovative product. 2 minutes Can you tell us about your brand? 3 minutes What are some strategies to standing out at a tradeshow? 3 minutes What stood out to you at Expo West? 42 seconds Can you tell us about your brand? 41 seconds What advice would you offer other entrepreneurs looking to create a disruptive product? 59 seconds What are some strategies to standing out at a tradeshow? 47 seconds How does it feel to be one of the more talked about products at Expo West?